Alderleaf interviewed by "From Soil to Soul"
New video interview with Alderleaf - put together by Charlie B of "From Soil to Soul", a youtube channel dedicated to all things local and sustainable in the Pacific Northwest! On the first day of our camping trip we stopped at Umtanum Canyon to harvest materials for hand drill fire kits. In addition to learning about the best materials to use, we were able to observe a much different environment than on the Western side of the Cascade mountains. Students found signs of deer, Big-Horned sheep, beaver, Golden Eagles, porcupine, and many other species of animals. Here Jason is explaining what to look for in Cottonwood roots and branches to make good fireboards for our Hand Drill kits. We learned more about traditional uses of the land at the Yakima Indian Reservation Cultural Center Museum on the way to our campsite. Here students are putting their knowledge of fire building into practice to build the fire up in camp. The fire not only serves as a source of heat, but a central place for all to gather around in community to reflect upon the day. After a cold night, we woke up to frost. 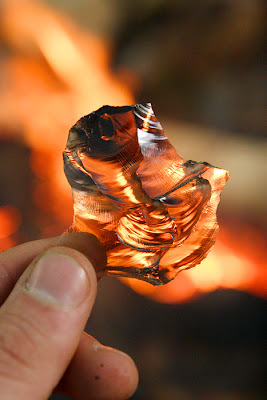 Many of us learned a valuable lesson about cold weather camping. After some modifications, such as using leaves as insulation under tents, most had a much warmer second night of camping. We then proceeded to Moses Lake sand dunes to study the desert ecology of the Northern Great Basin Desert. On our final day we explored the Ginko Petrified Wood State Park as well as harvesting the long needles from the Ponderosa Pine for a class on basket making later in the semester. The trip was capped off by a snowstorm in the Cascade Mountains on the way home. We were able to put the knowledge of traditional ecological living that we have learned so far into practice on this trip. It was a good week. We jumped into the 1st week of November with a day working on the art of flint-knapping, with the guidance of the very experienced and skilled Frank Sherwood. 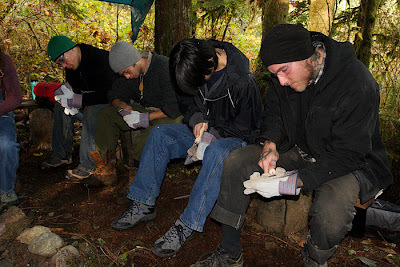 Students learned the various techniques of knapping such as shearing, pressure flaking and alternate flaking. Here the students work in a very focused manner on alternate flaking. 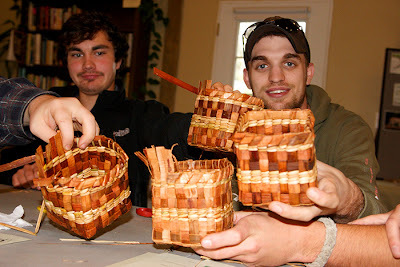 The other half of the class also had the great pleasure of working with Karen Sherwood on cedar baskets. Here are some of the students showing of their progress. 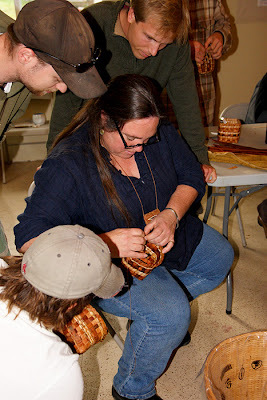 We worked the next day with Karen on learning all about the power of healing herbs. We created a tincture of oregon grape, cedar and yarrow. It was wonderful connecting more deeply with the healing herbs all around us. Finally, we finished of our week delving into deeper into the mysteries of bird communication. 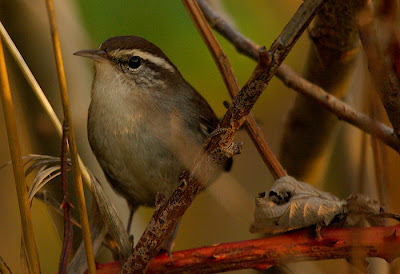 We looked at how birds can tell us about what sorts of animals are moving around us that we might not notice otherwise. 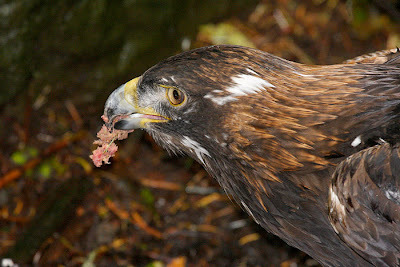 We also looked more closely at how predators affect bird behavior and what we can learn from birds about those predators. Another awesome week with the AWCP! On Friday, Oct. 30 the Alderleaf crew headed down to NW Trek for a visit. We broke up into several groups and cruised around looking at the diversity of wildlife found in the park. All of the animals found there are native to the greater Northwest bio-region. This was an opportunity for students and staff alike to observe animals closely and learn how they move through the landscape, how they interact with each other, what types of sounds they make, how they smell and much more. It was wonderful to get to watch such elusive animals as wolverines up close and personal. This beautiful animal was a great surprise to see, as it was a new cub born to the mating pair of wolverines found at the park. This species is known to cover vast tracts of wilderness in its search for food. In this same section of the park, there is also a pair of fishers. Fishers were recently reintroduced to Olympic National Park. 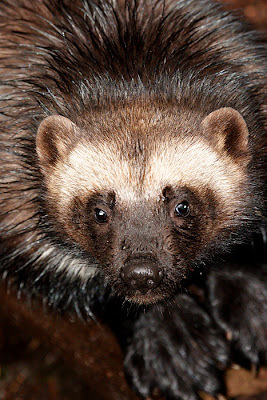 These animals are, like the wolverine, members of the weasel family (Mustelidae) and are very capable predators. Similar in size to river otters, fishers - despite their name - are not generally fishing for food. Instead, these creatures hunt in forests on the ground and are also incredibly skilled and fast in the trees. 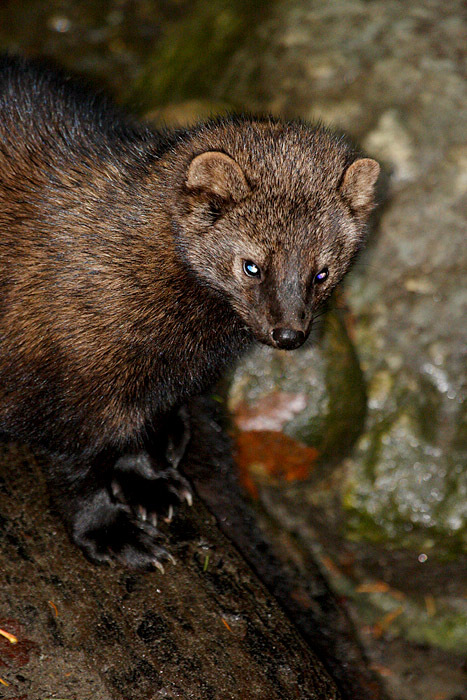 Fishers have ankles that can rotate backwards, allowing them to climb down trees head first. They are also one of the only animals known to regularly prey on porcupines. The park also has a several hundred acre enclosure that includes many ungulate species such bison, elk, moose and bighorn sheep. Also, they house a variety of native birds of prey including several types of owls, as well as bald eagle and golden eagles. We were informed by one of the keepers that the pair of golden eagles are some of the oldest animals housed at the park. They were acquired some 30+ years ago and already at that time the birds were mature. This would put them some were between 35 and 40 years old! The park staff also did some animal displays outside of enclosures and allowed us to view several species including a western screech owl, great horned owl, spotted owl and beaver at very close range. The day left us inspired and wanting to know more. We look forward to another visit to NW Trek in the future!